The "Horu", as the locals like to call it, has many names in many languages, but one thing is universal among all: Its majestic shape. 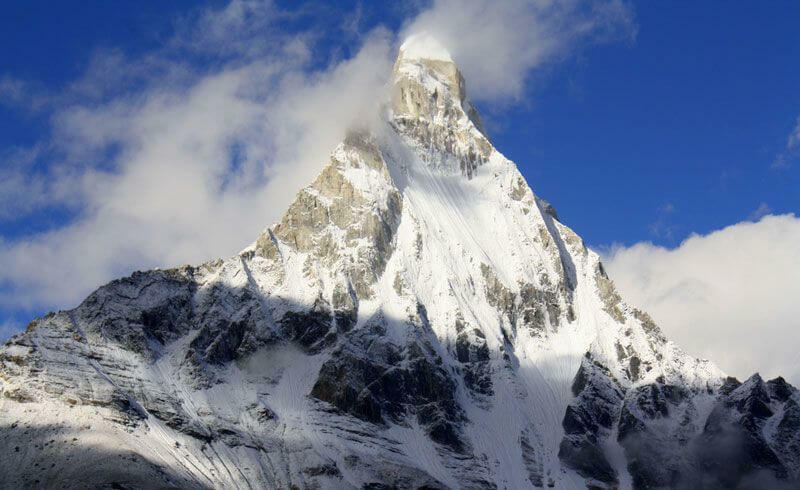 This emblematic Swiss mountain towers 4,478 m/14,692 ft above sea and is extremely difficult to climb. It is the tenth highest mountain in Switzerland, and one of 48 Swiss peaks above 4000 m in height. The four faces of the Matterhorn face the four cardinal directions - north, east, south, and west. Over 500 people have died climbing the mountain since 1865, many on the descent. Deaths due to falls, inexperience, bad judgement, bad weather and falling rocks average now about 12 annually. It remains a mystery what exactly happened on July 14, 1865, when four out of seven climbers died during the descent. Among them was Lord Francis Douglas, the first climber to ever reach the top. 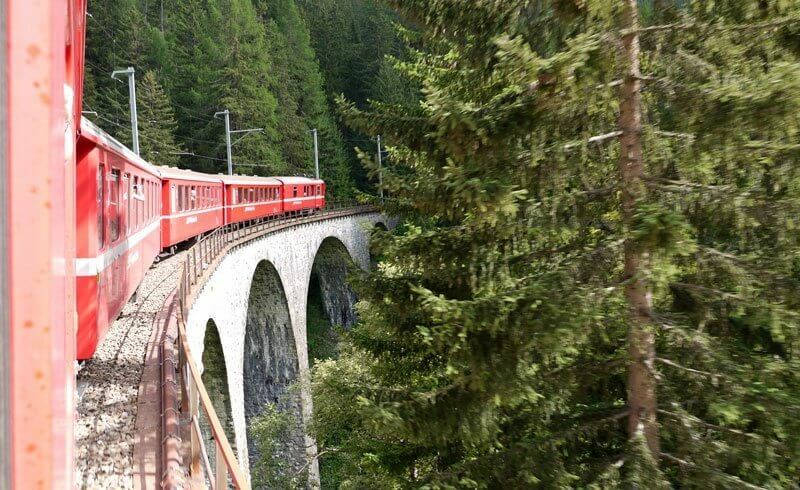 Back in the day, it used to take two days to climb the 1100 meters of Matterhorn's North face. Nowadays, 8 to 10 hours. 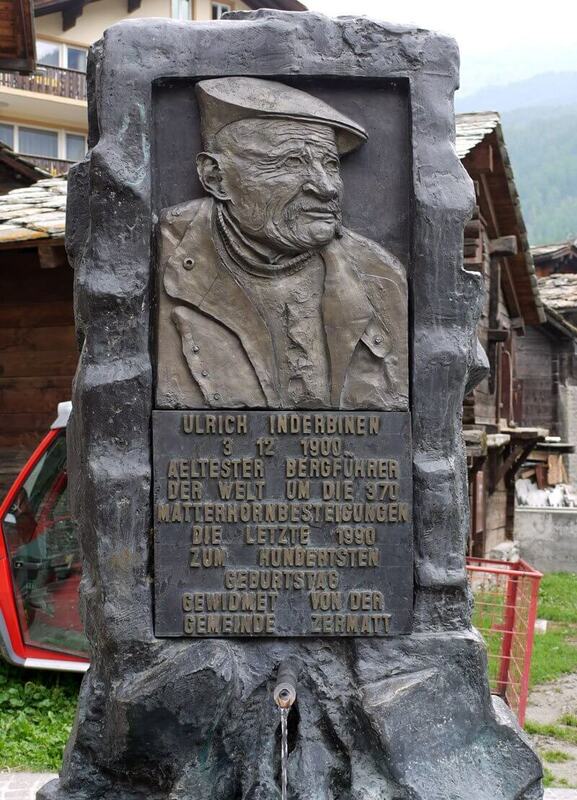 This fountain in Zermatt is dedicated to the oldest mountaineer to have climbed the Matterhorn: Ulrich Inderbinen. 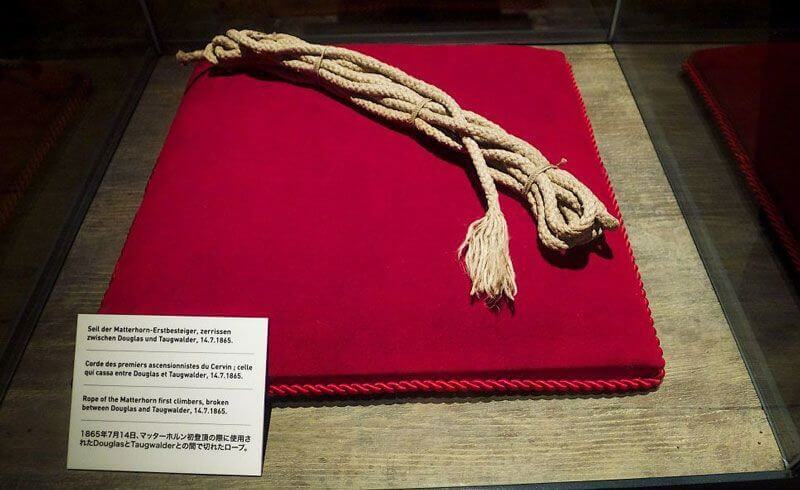 He was 89 years of age at the time of his last ascent. The mountain is quite crowded during high season with up to 3000 climbers annually. 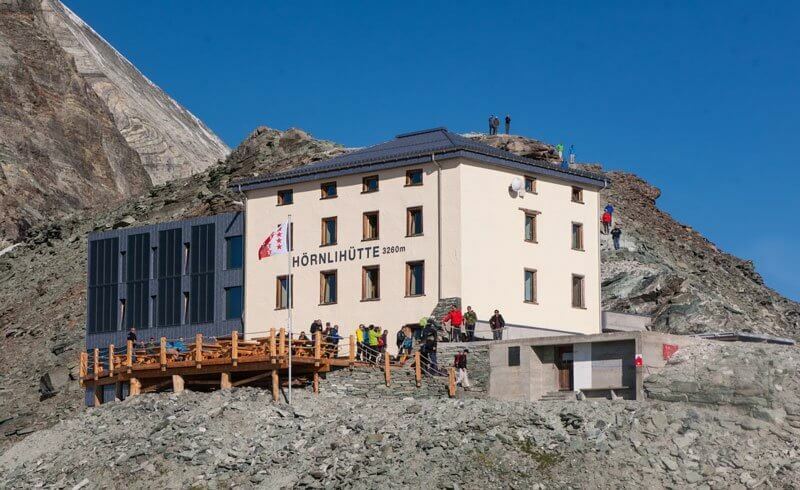 The newly renovated Hörnlihütte is smaller in capacity, which is expected to reduce the number of climbers. Matterhorn, the German name, is derived from the words Matte meaning “meadow” and horn meaning “peak”. It is called Monte Cervino in Italian or Mont Cervin in French. 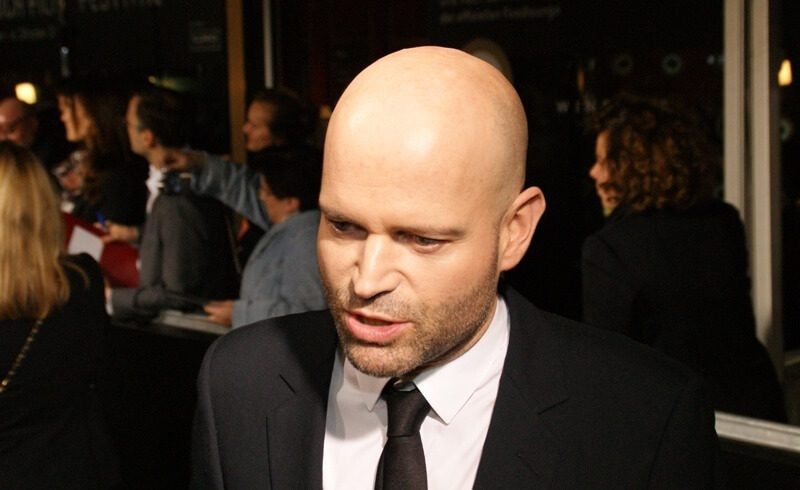 In 1988, the hidden camera show "Verstehen Sie Spass?" installed a full-blown newsstand on the Matterhorn - to the bewilderment of climbers! The kiosk featured cuckoo clocks and daily newspapers. 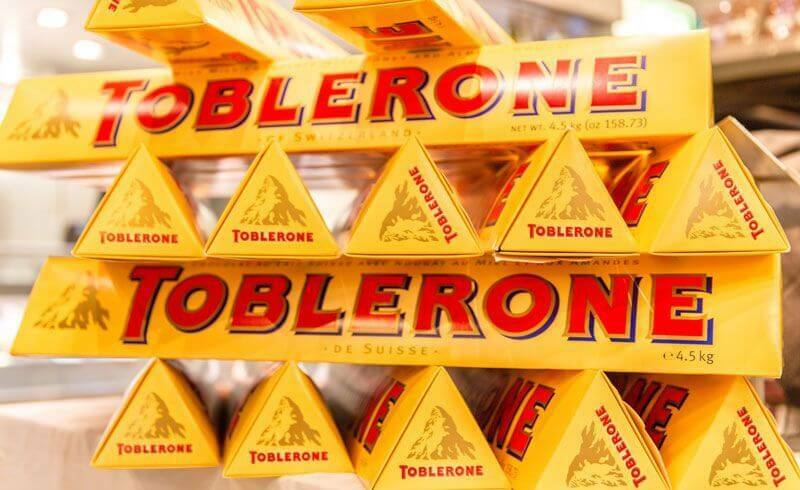 The image of the Matterhorn first appeared on Toblerone chocolate bars in 1960. Before it, the packaging featured an eagle. Look closely and you will notice a bear hidden in the side of the mountain. It is a tribute to Theodor Tobler who first invented the chocolate bar in Bern. 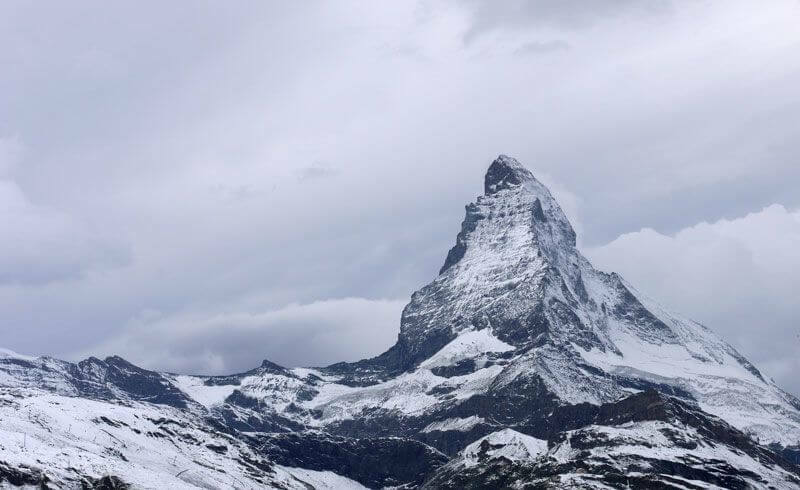 Tell us: Have you ever felt the magical draw of the Matterhorn? Are you a fact collector? 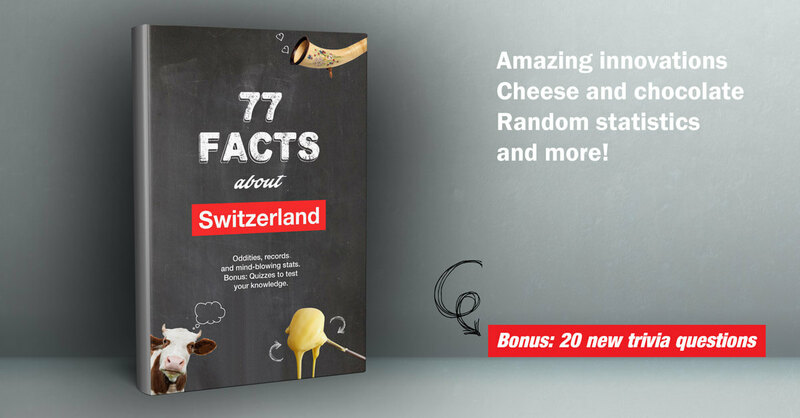 Here are additional facts about Switzerland's lakes and mountains.